Party makers The Flaming Lips are the latest headliner to be announced for the 2011 Eden Sessions and will play a show on June 30, with special guests The Go! Team and OK Go. The Flaming Lips are renowned for their spectacular, eccentric live shows with elaborate costumes, puppets, confetti and lead-singer Wayne Coyne’s man-sized plastic bubble in which he walks over the top of crowds. The Oklahoma quintet have thirteen studio albums behind them, including 1999’s The Soft Bulletin, 2002’s Yoshimi Battles the Pink Robots and 2006’s At War With the Mystics, which achieved their highest UK album chart position of number 6. The Flaming Lips, The Go! Team and OK Go join Fleet Foxes and Villagers (playing on July 1) and Primal Scream and The Horrors (June 23) on the line-up for the 2011 Eden Sessions. More acts will be announced shortly. 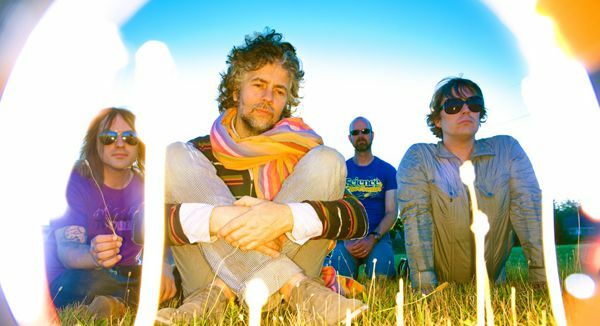 Tickets for The Flaming Lips Eden Session cost £37.50 plus booking fee and will go on sale at 6pm on Monday March 7. Tickets are available from the Eden box office on 01726 811972.